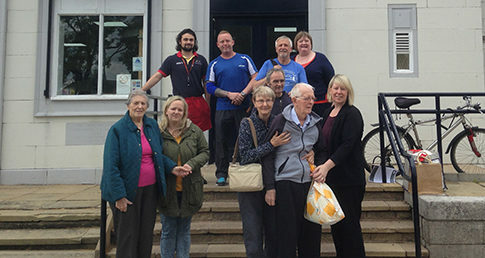 Broadway Leisure Centre has launched new swimming sessions which offer support for people with dementia and their carers. The sessions are offered with the support of Manchester City Council and Swim England. They will be available on Mondays, Wednesdays and Thursdays (12 – 1pm). There will also be an early morning session from 8-9am at the weekend. The sessions have launched as part of the Age Friendly North Manchester Summer Festival Fortnight. The festival campaign runs from 15 – 31 July and highlights activities suitable for older people across North Manchester. Broadway Leisure Centre wants anyone living with dementia to come along and give the swimming sessions a go. Swimming has a number of benefits for people living with dementia. These range from the calming effect of water, to the benefits of low impact exercise in maintaining general health. Mark Abernethy, Business Development Lead at Broadway Leisure Centre, said: “Broadway Leisure Centre is managed by Broadway Community Development Group and is a very successful registered charity. We are proud to partner with Manchester City Council to provide Dementia Friendly Swimming. Many people living with dementia stay in care homes and housing providers. The project is building links with a number of schemes across Manchester to create a pathway to their community. Eachstep Dementia Care Home in Blackley have been supporting the programme with insight and feedback ahead of the launch. A few of their residents attended the launch, and hope to attend regularly. A partnership with Manchester Community Transport is also helping people by providing transport links. This allows residents to come along and enjoy a swim in a fun, safe and supportive environment.